Walking in a commitment to racial and social justice work can be both arduous and emotionally daunting. Those who decide to put their hand to the plough in this regard, come to understand rapidly that it is not the type of work that happens between the more traditional office hours of 9 to 5. It is often impossible to separate who you are as a person and how you, too, are impacted by both the problems and solutions required to bring about a just society. Paradoxically, the path of this work often brings individuals into spaces where meeting and joining arms with some of the greatest minds on the planet is a unique gift that has the propensity to offer strength, inspiration, and invaluable insight for the journey. Last week was such a week. 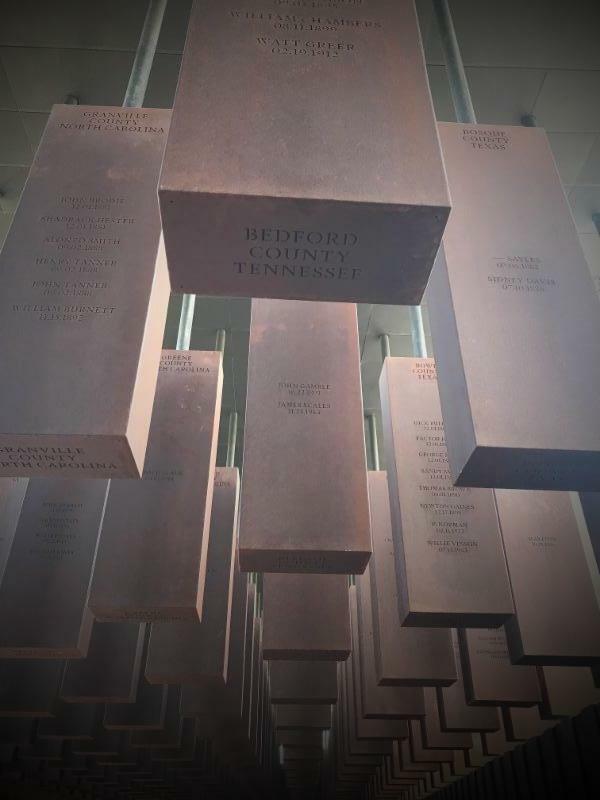 AISJ staff and volunteers attended the Equal Justice Initiative's (EJI) Peace and Justice Summit , the launching of The Legacy Museum: From Enslavement to Mass Incarceration and The National Memorial for Peace and Justice , the world's first-ever lynching memorial. Beyond the powerful encounters one will have when visiting these historic monuments, which every living soul should experience, the knowledge provided during the summit was critically timed for our world today. Dr. Howard Stevenson's implicit bias session resonates as we strive to make sense of the Starbucks incident that took place in Philadelphia , just a few weeks ago, when two black men, Donte Robinson and Rashon Nelson, peacefully awaiting a friend for a business meeting, were suddenly arrested because a Starbucks' employee called the police. The employee's complaint in making the call to law enforcement was that the two men had been in the establishment for too long without placing an order. The Starbucks' employee, a white female, apparently felt threatened by the men. This fear was not based on any unruly behavior by the men, but solely on the fact that both men were black. Her response is one that black men and women experience on a daily basis. That is, their skin color ignites fear or a threat to others causing them to feel unsafe. Implicit bias (stereotyping) is defined as the unconscious attribution of a particular quality to a member of a certain group. In the case of the Starbucks incident, it is the unconscious intention of seeing black men as individuals that will cause hurt, harm, or endangerment to others, by their mere presence. One would think more than fifty years after the historic triumphs of the Civil Rights Movement, that our world would be more conscious and aware of inherent human values around decency, fairness and the dignity that all are entitled to, even given scenarios that are not as clear-cut as the Starbucks incident. 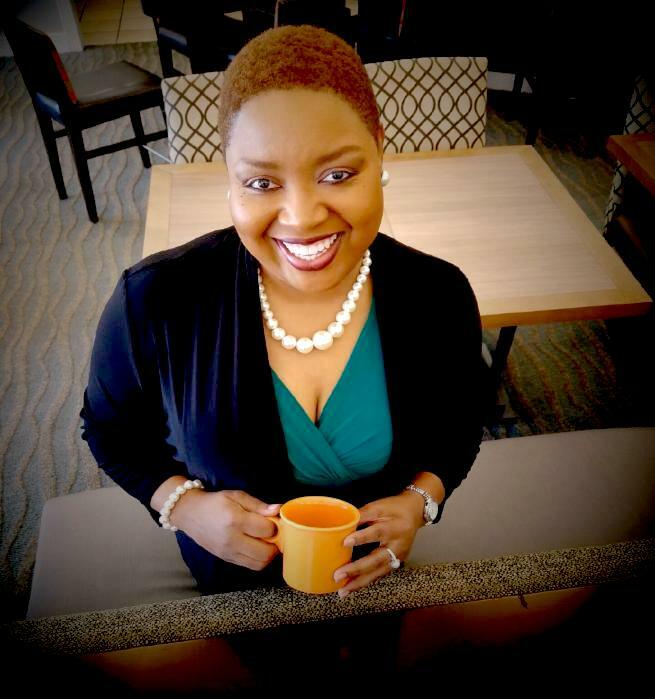 For example, this past week in Saraland, Alabama, a city located in Mobile County, a Waffle House employee followed policy and contacted the police regarding an alleged incident involving a black woman, Chikesia Clemons, who was subsequently arrested when three white police officers arrived on the scene . While the events leading up to the police arriving may be in dispute, the fact remains that each of us needs to see the humanity in all people. Unfortunately, the Waffle House incident, resulting in the young woman's body being exposed and photos of her being held in a choking position during the occurrence, is an all-too-familiar scene that echoes excessive force and above all, a lack of dignity and mutual respect that all deserve. Even in scenarios when we may feel wronged, it is important, particularly when facing what are often high-risk and potentially life-threatening situations, that each of us emulates the highest ideals of human civility. 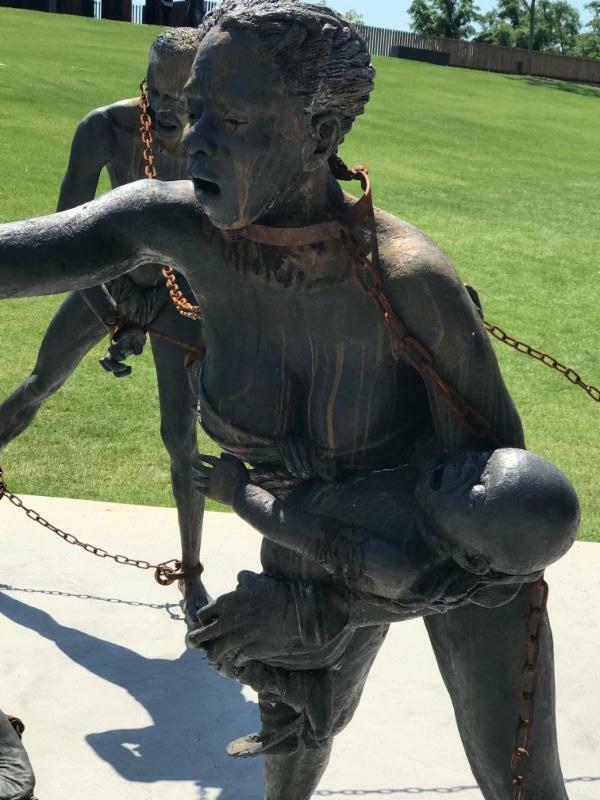 The EJI experience offered a stark and precise portrayal of not only our nation's past, but it also connected the dots in a way that spoke to the reeling implications of slavery's legacy and how much of its residual effects are rooted in prevailing law. For example, the U.S. Constitution's 13th Amendment makes slavery legal as "a punishment for crime whereof the party shall have been duly convicted, shall exist within the United States, or any place subject to their jurisdiction." In short, even today, if a person is convicted of a crime, they can legally be re-enslaved. This was poignantly expressed by Michelle Alexander, author of The New Jim Crow , in an opening EJI summit session. 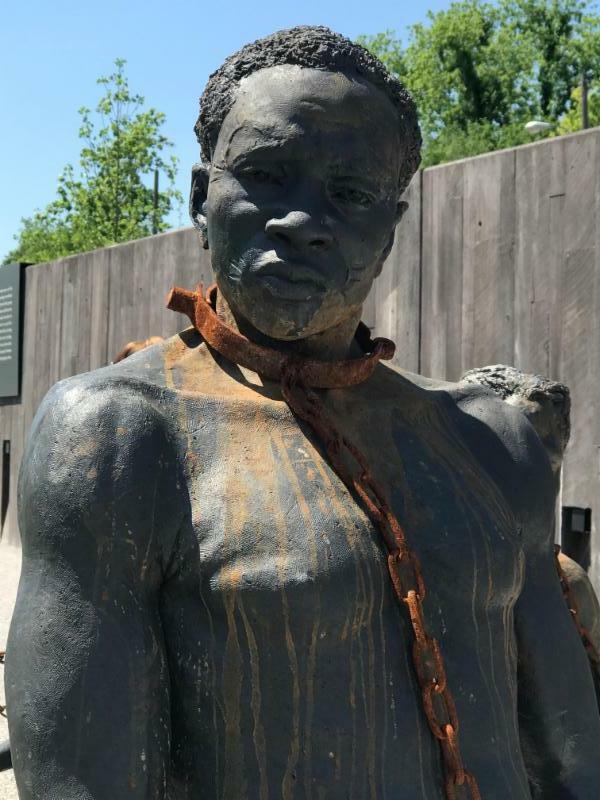 In short, the linear connection between slavery, lynching, and mass incarceration can no longer be denied. 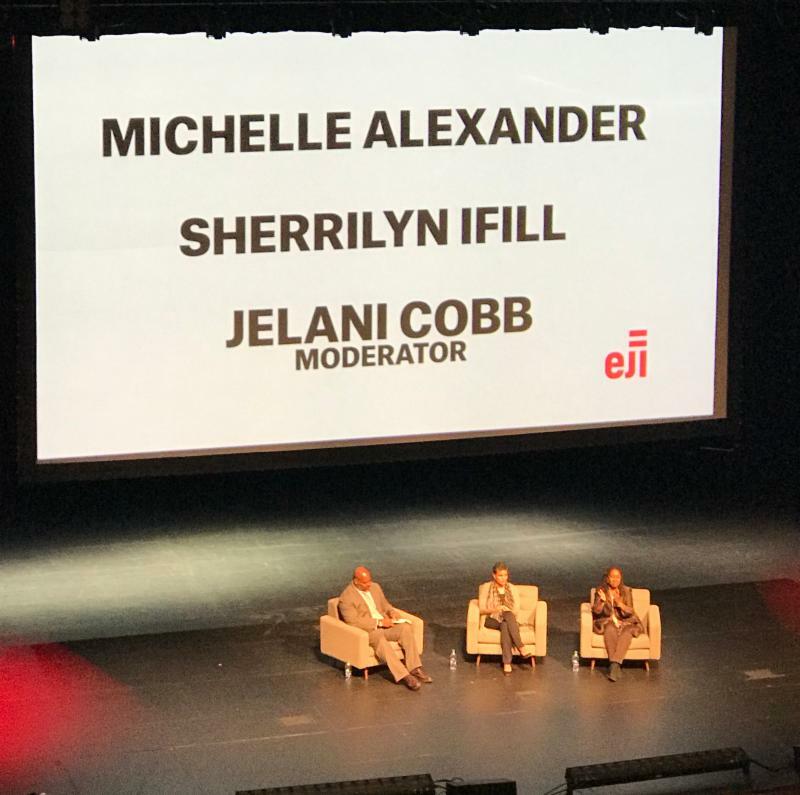 Facing those truths, in the irrefutable manner in which EJI has significantly elevated a missing piece of America's history, further unveiled our nation's brokenness and need for healing. 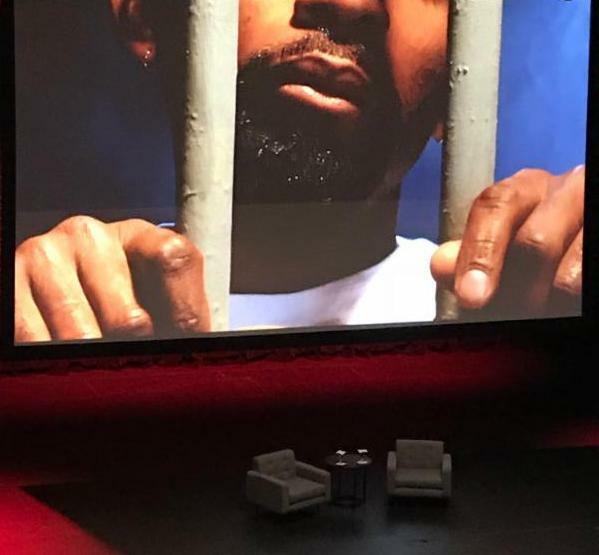 The two aforementioned incidents in present-day times simply serve to underscore how the vestiges of slavery persist in ways that are often not acknowledged because, as Bryan Stevenson says, "…we have developed a really advanced coping strategy of silence." That silence undergirds the incessant incidences of injustice that many people of color contend with on a daily basis. If America wants to fully become the highest and best expression of itself, it must face its history. It must acknowledge its complicity in the shedding of innocent blood and lives that it is responsible for, and it must do this in order to become free and walk in the beauty of reconciliation. Indeed, as a nation, we are deeply broken, but if we walk in truth, we can be made whole.